Today is the first day of reader request week, so we are kicking off with Seitz-Kreuznach Palm Green. Thanks to @havenhursthanks on Instagram for sending a sample over for review. You can find this ink on Amazon.com. Palm Green is a medium green with some shading. There is a little pop of pink sheen around the edges. Other properties: Medium shading, low sheen, and no shimmer. The sheen is mainly in the flex nib on TR. 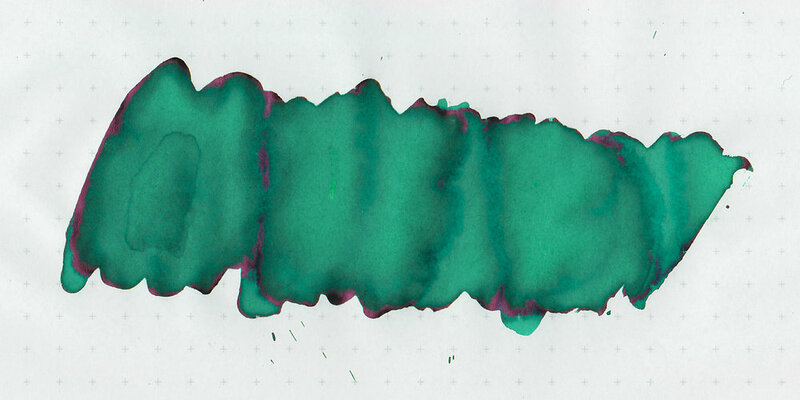 Ink swabs for comparison, left to right (top to bottom for mobile RSS): Diamine Cool Green, Seitz-Kreuznach Palm Green, and Robert Oster Green Diamond. 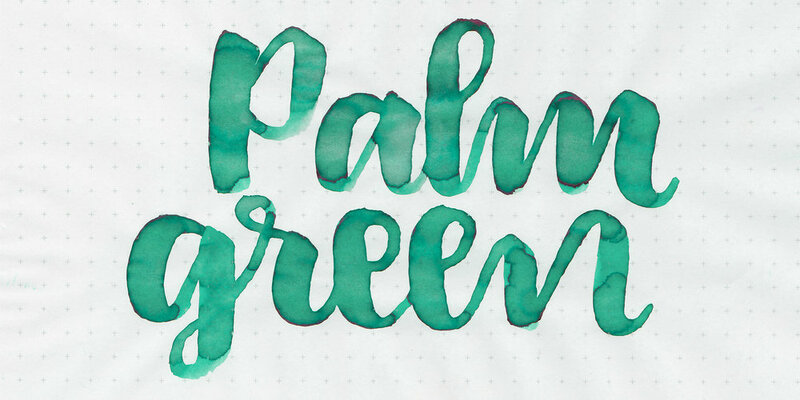 Palm Green has less blue undertone than Cool Green, but more than Green Diamond. Robert Oster Emerald, Krishna Elegant Teal, and Robert Oster Peppermint. Click here to see the green inks together. I used a medium Pelikan M800 Renaissance Brown on Tomoe River paper. The ink had a wetter than average flow. Overall, it's a nice ink. It has a wetter than average flow, which was nice. Give it a try, you might love it. Disclaimer: @havenhursthanks on Instagram provided a sample of the ink for the purpose of this review. All photos and opinions are my own. There are no affiliate links on this page.